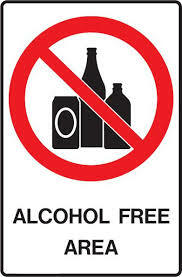 For whatever reason it might be, some people can’t or don’t want to touch alcohol. Whether it’s religion, health, or you’re just trying to cool it for a few weeks, it’s pretty hard to avoid the fact that everyone else seems to be drinking, and enjoying themselves as they go. I’ve been there! So for one week only (and I mean ONLY), New Wine This Week is going to dedicate itself to non-alcoholic alternatives. I could go for all kinds of soft drinks, maybe those elderflower pressé things that are going great guns in the shops these days. I’m going to have a go at the alcohol free wines that are available. I’ve never tried them, this might be a “first and last time” kind of thing, but who knows, eh? Hope I’ve not pissed off too many wine-o’s with this and you all get stuck in! Obviously struggling to find them in a couple of places, will check with their offices and update if I find alternatives. I’m actually looking forward to this week- I haven’t really touched anything marketed as “non-alcoholic wine,” but I’m interested in seeing what happens. 🙂 you and me both!! It might do the liver good. Good Luck. Pingback: Please Bring Me My Wine | #NWTW Week 42: Why Go Alcohol Free?